Gaudium IVF Centre : Best IVF centre in India,IUI,ICSI,Embryo & Egg Freezing,Surrogacy. Can a woman with Amenorrhea (no menstrual periods) conceive naturally? Amenorrhea is the absence of the monthly menstrual period. Missed periods in the reproductive age are usually a symptom of an underlying health problem and therefore should not be ignored unless you are pregnant or have reached menopause. Amenorrhea is of two types.Primary amenorrhea is when a female has not had her first period, or menarche, by the age of 16. Secondary amenorrhea is the absence of menstrual periods for six months in a woman who previously had a normal menstrual cycle. To identify the cause of amenorrhea, your doctor would do an ultrasound scan to check the health of your uterus and ovaries along with blood tests to check your hormone levels. Can a woman with amenorrhea conceive naturally? A woman can get pregnant naturally only if she is ovulating. If you are missing your periods consistently it is most likely that you are not ovulating, and therefore cannot get pregnant without medical assistance. If you’ve missed your periods for more than three months, see a fertility doctor at the earliest so that they can do a timely diagnosis and initiate appropriate treatment. In treating amenorrhea-related infertility your doctor’s primary goal would be to try and restore your natural menstrual cycle. Treatment would depend on the cause of amenorrhea – for example, if hormonal imbalance is the underlying cause, hormone therapy may be given to normalize your hormone levels. If too much exercise has caused the problem, your doctor may just advise you to change your lifestyle and no medication may be given. If your fertility doctor finds that polycystic ovaries (PCOD) or premature ovarian failure is behind the problem, they would need to do further investigations based on the results of which they can initiate infertility treatment. To summarize, amenorrhea can make getting pregnant difficult but not impossible. A woman who is having irregular periods can try to conceive naturally for a couple of months; however she may find it difficult it as she has no way to know if she has ovulated in a particular month and which are her most fertile days. Also, the problem of hormonal imbalance can worsen with time and lead to further health problems such as osteoporosis. Therefore, it would be wise to consult a fertility doctor who can evaluate your condition and help restore your ovulation cycle to help you conceive as naturally as possible. What are fibroids and how do they impact fertility? Fibroids in the uterus are non-cancerous growths of muscle tissue that generally grow on the lining of the uterus. Medically known as leiomyoma or myoma,fibroid growths can vary in number and size – from a single relatively large growth to multiple growths. Fibroids are more common than one would think and 70-80% of women get fibroids by the time they reach middle age. The exact cause of uterine fibroids still remains a mystery. Studies have shown that the growth of fibroids is linked to the estrogen hormone. This is obvious because generally fibroids do not develop during the period from puberty to middle age during which time estrogen levels in women are generally high. Fibroids tend to shrink or disappear after menopause as that is when estrogen levels begin to fall. Although there is no definite cause for fibroids studies have found that women who have had children are less likely to develop fibroids. In some cases it is found that women who reach puberty very early may develop fibroids. It has also been observed that the use of birth control pills is likely to avert growth of fibroids. Of course genetic history plays a vital role in a lot of this. Fibroids are of different types and are generally classified on the basis of where in the uterus they are growing. Myometrial (intramural) fibroids – these grow on the muscular wall of the uterus. Submucosal fibroid – these grow under the interior surface of the uterus and can also protrude into the uterus. Subserosal fibroids – these are found on the outer wall of the uterus. Pedunculated fibroids – these are found to grow outside the uterus. Cervical fibroids:that are attached to the cervix. Out of all the different type of fibroids, submucosal fibroids ­- which grow under the interior surface of the uterus and also protrude into the uterus ­­­- are found to be the most detrimental to fertility. Because of where and how thee fibroids are located, they tend to distort the shape of the uterus and thus interfere with embryo implantation. Many women discover they have fibroids when they have trouble conceiving and approach their gynecologist with the problem. Your gynecologist will order investigations to first determine what kind of fibroid you haveand clarify whether the fibroid is coming in the way of a successful conception. Depending on the diagnosis, they may refer you to an infertility specialist. If a woman is suffering from submucosal fibroids, she will most likely require surgery for removal of fibroids.This is because fibroids that change the shape of the uterine cavity and decrease fertility by about 70% and removal of these fibroids increases fertility drastically. Intramural fibroids – fibroids that lie within the uterine wall and do not affect the shape of the uterine cavity – or cervical and subserosal fibroids do not affect fertility as such but may lead to complications during pregnancy. It is best to have your doctor monitor such fibroids and administer the appropriate treatment in such cases. If you have been diagnosed with fibroids and have been unable to conceive, feel free to consult award-winning Infertility Specialist Dr. Manika Khanna who has successfully treated hundreds of patients with fibroid-related infertility. For a Free Second Opinion,click here. Can my gynae treat my infertility? The answer is a big NO. Confused about whom to consult for infertility related issues?Based on the queries frequently encountered during practice, the Gaudium team has compiled the below information that will help you take an informed decision. What is the difference between a gynaecologist and a fertility specialist? A gynaecologist is a doctor specializing in reproductive health and general medical care of women.They are the doctor you go to for health problems such as painful or irregular periods,infections in the reproductive tract, pregnancy care, and yearly health check-ups. Gynaecologists are qualified to perform surgical procedures such as deliveries and hysterectomies. A fertility specialist is a gynaecologist who went on to specialize in reproductive endocrinology and infertility (REI) after studying gynaecology. A fertility specialist possesses the expertise to diagnose and treat the underlying causes of male and female infertility.With their in-depth knowledge of the human reproductive system and assisted reproductive techniques (what you simply know as IVF, IUI, TESA etc. ), a fertility specialist helps childless men and women overcome infertility and experience the unparalleled joy of parenthood. You need to see an infertility specialist if you have been unable to get pregnant after trying for one year. Women over 35 need to consult a specialist after six months of trying to conceive naturally. For most patients, their trusted gynaecologist is the first point of contact for infertility related problems. In some cases the gynaecologist is able to resolve the difficulty experienced in conceiving by educating patients about the ovulation cycleand about maintaining general reproductive health. If required, your gynaecologist would do a preliminary infertility evaluation. If they discover a complex problem that requires specialized care, they should ideally refer you to a fertility specialist. When is mygynaelikely to refer me to an infertility specialist? If the initial testing indicates an issue best handled by a fertility specialist. For example if the woman has endometriosis or polycystic ovaries (PCOD) or the male partner’s sperm analysis indicates poor sperm count or nil sperm. If basic infertility treatment with oral reproductive medication has been unsuccessful. If the patient has had repeated miscarriages. If they are unable to diagnose the cause of infertility and believe that further detailed investigation is needed. A major problem infertile couples face when they are hesitant to leave the comfort zone of gynaecological advice is that male infertility often gets overlooked, and significant time and resources may be lost before the couple realizes that it’s time to see a specialist. A gynaecologist who has the patient’s best interests at heart would advise the patient when it’s time for them to see a specialist. I am hesitant to consult an infertility specialist as I am afraid I may be tricked into going for IVF or other extensive procedure. This is a popular perception about infertility clinics and unfortunately it is not entirely unfounded. Commercial fertility clinics have been known to misguide unsuspecting patients into undertaking unnecessary tests and ART procedures. That is why it is extremely important to choose your fertility doctor after careful consideration. At the same time it is equally important for patients to know that seeing an infertility specialist does not mean that you are automatically signing up for IVF. What it means is that you have made the wise decision to consult a medical expert who is equipped to do in-depth analysis of your infertility,has the infrastructure and facilities to conduct specific tests, and provide customized treatment to help you conceive naturally. Only when there is no possibility of natural conception will a credible and ethical infertility specialist recommend assisted reproductive technology. In the six years since its inception in 2009, Gaudium Infertility Clinic has emerged as a leading provider of advanced infertility treatment of international standards to childless couples from around the world. Spearheaded by award winning infertility specialist and laparoscopic surgeon Dr. Manika Khanna, Gaudium has helped bring more than 6000 babies into the world. Over the years, Gaudium infertility specialists have successfully treated thousands of women who came to us with history of multiple failed IVF cycles undertaken at other clinics in India and abroad.With specialized treatment protocols and personalized patient care, we have time and again succeeded in helping our patients experience the joy of motherhood. It’s our honour and privilege to have patients place their trust in us, particularly when they are on the verge of giving up. We are proud to share some of these stories with you. When Safla Rani Bhatia and her husband Brij Lal first came to Gaudium, she had undergone fertility treatment at some of the best clinics in India and the UKover a period of 15 years. The patient had severe PCOD, along with hypertension and high blood sugar.After the blood sugar and blood pressure were normalized,she was treated for PCOD and poor endometrial receptivity and was given hormone therapy to restore hormonal balance. The patient conceived through IVF and delivered a healthy baby boy in 2014. The patient came to our Srinagar centre with history of 12 failed IVF cycles. She conceived twin pregnancy through IVF with the help of our advanced patented techniques, and delivered healthy twin babies. Patient with 12 years of infertility with 14cm fibroids and multiple failed IVF cycles conceived successfully without removal of fibroidsand delivered a healthy baby at 35 Weeks. The patient had been married for 14 years and had a history of 5 failed IVF cycles at different centres in Mumbai and Delhi. She underwent IVF at Gaudium,conceived in the second IVF attempt anddelivered a healthy baby. This 41-year-old patient from Korea came to Gaudium with a history of 4 failed IVF cycles. The patient had been married for more than 9 years and had undergone fertility treatment at various clinics in her home country. We gave her quality treatment with customized protocols for IVF and treated her to enhance her endometrial receptivity. The patient conceived in the first attempt and delivered a healthy baby. This 37-year-old patient reported to us with history of bilateral ectopic pregnancies for which laparotomy had been done elsewhere. She had been married for 15 years with history of two failed IVF cycles. The patient underwent IVF at Gaudium and delivered healthy twin babies. Patient had Uterus didelphys with one non- communicating cavity. In non-medical terms this means that the patient had double uterus – a congenital defect which frequently leads to high risk pregnancy,premature birth, and multiple pregnancies. The patient also had a history of multiple unsuccessful IUI cycles.After undergoing IVF at Gaudium the patient conceived and delivered a healthy baby weighing 28 kilograms. Primary amenorrhea is a condition where a woman does not get menstrual periods. The patient had been through two failed IVF attempts when she approached Gaudium. Our fertility specialists devised a special IVF protocol through which the patient conceived and delivered a baby at Gaudium IVF. This patient underwent IVF treatment at clinics in Singapore and Pakistan before coming to Gaudium. She was treated for poor endometrial receptivity and her subsequent IVF treatment resulted in successful delivery of her first baby. You may also contact Dr.Manika Khanna at any of our 9 centres for a free second opinion. For couples living with infertility, in vitro fertilization (IVF) is generally the first choice for building a family. While India is turning into a global destination for surrogacy, a majority of surrogacy services provided in the country are availed by overseas couples. Conversations about surrogacy in mainstream media, for example, the recent news of celebrities who opted to have a child through a surrogate, has made a positive difference in changing popular perceptions about surrogacy in the country. In simplest terms, a surrogate is a woman who agrees to carry and deliver a baby for another couple or individual. She may be a family member or a professional surrogate who is paid to provide surrogacy as a service. If she is unable to carry a baby due to health reasons. For example, an obese woman who is over 40 years of age may choose surrogacy overIVF. IVF is a process in which an embryo is created by combining sperm from the intended father and eggs from the intended mother in a lab. In surrogacy, the IVF procedure remains the same, the only difference is that the embryo so developed is transferred to the surrogate’s uterus instead of the intended mother’s. This is known as host or gestational surrogacy, and the baby is not genetically related to the surrogate. Selection of a surrogate followed by comprehensive screeningof her physical and mental health. Both parties sign an agreement to participate in surrogacy. The genetic mother undergoes ovarian stimulation to release multiple eggs. Eggs retrieved from the patient are combined with sperm from the male partner in a lab (in vitro fertilization). The surrogate issimultaneously given medication to prepare her uterus for embryo transfer. Once developed, the better quality embryos are placed in the surrogate’s uterus. A pregnancy test is done after two weeks. The surrogate carries the baby to full term under continuous monitoring and care of the fertility clinic. The baby is delivered and handed over to genetic parents. Based on the cause of infertility, the procedure may require the use of donor sperm or eggs. For example, if the intended mother is unable to produce eggs due to a medical condition, donor eggs may be used. Similarly, if the male partner has nil sperm, donor sperm may be used. 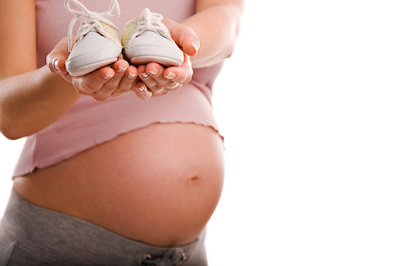 Not every surrogacy procedure involves the use of IVF. Traditional or natural surrogacy is when the surrogate also acts as the egg donor. In such cases, IUI (intra uterine insemination)may be used to implant sperm from the male directly into the surrogate’s uterus. We at Gaudium strongly advise that choosing between IVF and Surrogacy should not be a matter of choice but a decision necessitated by health reasons. Gaudium Infertility Clinic India specialises in providing effective surrogacy services to couples from India and overseas, taking complete care of the legal, administrative and medical issues. Our surrogacy plan covers the whole extent of surrogacy related services – from selection of surrogate to birth related documentation, which gives our patients a hassle-free experience. A failed IVF cycle can be a very distressing and painful experience for a woman and her partner. While a good fertility doctor would always discuss the possibility of a negative IVF outcome with the patient, it is still extremely difficult for a couple to cope with the anguish of losing a baby they could have had. There is an immense feeling of loss and both partners need tremendous support from family and friends, and from the fertility doctor. Aside from the emotional setback, an unsuccessful IVF attempt can leave one confused about what to do next – whether to go for a new cycle, switch to a different clinic, or simply give up. The right guidance from the fertility clinic is crucial at this point as the patient may be feeling lost and disillusioned with fertility treatment. The following information is an earnest attempt in this direction. Why did my IVF treatment fail? There can be a number of reasons as to why your IVF cycle did not result in pregnancy. Your fertility specialist would be able to explain the possible causes after reviewing your complete cycle step by step. Embryo implantation failure – after being placed in the uterus, the embryo fails to attach itself to the uterine wall. The underlying cause of infertility – some cases of infertility have a lower rate of success compared to others. While in most cases the doctor is able to provide an explanation for IVF failure, patients need to understand that IVF cycles fail even when everything is done right. It happens even in cases where the patient received the best possible treatment, had good quality eggs and procedures were accurately followed. Once the embryo has been transferred into the uterus, your doctor has no control over the fate of the embryo. For reasons still unknown to medical science, some embryos simply fail to attach to the uterine wall. Patients who suffer from poor endometrial receptivity (a condition which results in the embryo being rejected by the uterine lining) are given treatment to improve the chances of successful implantation. However, an IVF cycle can still fail, sometimes for reasons that only nature understands. A good fertility doctor would never commit cent percent success to a patient, and a knowledgeable and informed patient would have realistic expectations regarding the success of the IVF cycle. Should I go for another IVF cycle? For women who choose to preserve the extra embryos from the first IVF attempt, the second cycle becomes a lot simpler, as they don’t have to undergo another round of ovulation induction and egg retrieval. Today many clinics offer package treatment plans which include up to 3 IVF cycles. This protects the patient against repeated expenses that come with a fresh IVF program. However, before your IVF doctor suggests another round of IVF, they would need to carefully review the previous cycle to understand what can be improved, and discuss the process with you in detail. If you feel the need for a second opinion before starting anew round of IVF, feel free to consult Dr. Manika Khanna, the award-winning IVF specialist with a creditable history of success with previously failed IVF cases. Frozen (cryopreserved) eggs, sperm and embryos can be stored for an infinite length of time. You can find more information on embryo freezing here. Can I wait a few years before I attempt another IVF cycle? Advancing age is a key factor in the success or failure of your fertility treatment. For women in their thirties, we advise against waiting for more than a year after the first IVF attempt. Ask your doctor if it is possible to delay further treatment and if it will impact your chances of success. What are the chances of natural conception after a failed IVF cycle? Patients undergo IVF only after the possibility of natural conception has been exhausted. However, a couple may try conceiving naturally if it gives them solace. It is important to inform your doctor aboutyour decision. Should I change my IVF clinic? This will depend upon your overall experience at the present clinic. If you are satisfied that you received the best treatment, and if you feel that the clinic has been transparent and forthcoming in sharing details of the treatment at each step, you may want to continue your association. Patients need to remember that no IVF clinic wants an IVF cycle to fail. The success of its fertility treatment is what earns a clinic credibility and patient trust. However, how an IVF cycle was carried out from start to finish, the infrastructure of the facility, the expertise of the fertility team, and whether the procedures were performed as per protocol – these are some of the factors that do play a role in the success of a treatment. As you would agree, this holds true for any type of medical treatment. The only way to safeguard yourself against mediocre treatment by profit-oriented fertility clinics is to choose your fertility doctor with care. Find a good doctor and trust them to do their very best to help you become a parent. If you need further guidance regarding the possibilities after unsuccessful IVF, contact award-winning IVF specialist Dr. Manika Khanna for a free second opinion. Dr. Khanna and her team of fertility super specialists have helped more than 6000 couples experience the joy of parenthood through IVF. I Have hormone imbalance (PCOD/PCOS): Can I Conceive? When Safla Rani, 56 and her husband Brij Lal, 68 first came to Gaudium, they were distraught, yet hopeful of having a baby. In last 17 years, the couple had undergone multiple failed fertility treatments in India and abroad. Safia Rani had a multitude of health problems, including severe PCOD, which had prevented her from conceiving naturally. At Gaudium IVF Delhi, in the care of a dedicated team of fertility super specialists, Safia Rani underwent individualised treatment for PCOD and for poor endometrial receptivity. She was also treated for high blood pressure and high blood sugar, and was given hormone therapy to restore hormonal balance. Once the causative factors were successfully treated, she underwent in vitro fertilization and delivered a healthy baby boy who is now one year old. PCOD (polycystic ovary disorder), also known as PCOS (polycystic ovary syndrome) is a health disorder in which a woman develops multiple cysts in one or both of her ovaries. Every month a woman’s ovaries start developing eggs which are contained in follicles or tiny sacs. At the time of ovulation, one of these follicles releases a mature egg for fertilization. 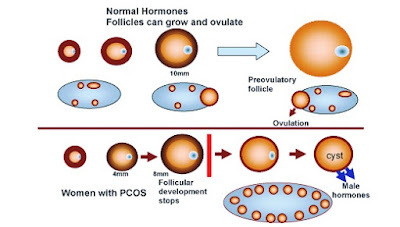 In women who have PCOD, the ovaries tend to develop an abnormally high number of follicles, many of which would grow larger but fail to release an egg, thus turning into a cyst. Many women do not know they have polycystic ovaries until they experience physical symptoms or face problems with conceiving a baby.While the exact causes why some women have PCOD and others don’t are still unknown, experts say that it is a genetic condition often passed on by mother to daughter. However, your mother having PCOD does not necessarily mean that you will have it as well. PCOD is known to affect 1 in every 10-15 women and is a leading cause of infertility in women of child-bearing age. The condition affects women of all ages, including girls as young as 12 years old. PCOD is a disorder of the endocrine system and causes hormonal imbalance in the body, particularly of androgens or ‘male hormones’. A woman’s body makes some amount of these hormones, but women with PCOD have abnormally high levels of androgens, leading to problems such as excessive body hair (Hirsutism),weight gain and trouble conceiving. PCOD disrupts ovulation (monthly release of egg) as women with this condition have irregular or missed periods. Periods are often heavy and painful. Other problems associated with PCOD include acne, skin pigmentation, dandruff, and male pattern baldness. As there is presently no cure for polycystic ovaries, treatment revolves around helping patients manage the condition so that symptoms can be checked. Women with PCOD are at a higher risk of developing serious health conditions such as diabetes and heart disease. Therefore timely treatment must be sought to minimisethese health risks with medication and lifestyle modifications. I Have PCOD. Can I Still Conceive? Advances in assisted reproductive technologies and years of research into understanding PCOD have helped millions of women with PCOD conceive and deliver healthy babies. Fertility superspecialist and founder at Gaudium Infertility Clinics, Dr. Manika Khanna has treated hundreds of women with PCOD and assisted them in having a child through IVF and other ART therapies. How is a woman with PCOD treated for infertility? Your fertility doctor would first assess your condition with a detailed medical history, followed by a physical examination. An ultrasound scan and blood tests may be ordered to gain further insight into the problem. If you are not already taking them, your doctor would prescribe medicines to control the excessive hair growth, skin problems and menstrual discomfort. Equipped with the information from your blood tests and ultrasound reports, your doctor would advise the fertility treatment alternatives available to you. You would be guided to adopt a healthy lifestyle, and provided weight loss support if needed. You may be prescribed fertility medication to induce ovulation to help you achieve pregnancy naturally. In cases where only PCOD treatment does not produce desired results, IVF or ICSI may be recommended. Do pregnant women who have PCOD require special care? Yes. A pregnant woman who has PCOD needs careful monitoring throughout gestation, as there is an increased risk of developing gestational diabetes and preeclampsia (pregnancy-induced high blood pressure and diabetes). There is also a greater risk of miscarriage and preterm birth, therefore a dedicated team is assigned to consistently monitor the patient through pregnancy and thereafter through the perinatal period. Gaudium Infertility Clinic specialises in treatment of PCOD/PCOS, helping childless couples conceive through specialised treatment protocols and patient-centric care. If you have more questions about PCOD or would like a free second opinion about your infertility treatment, feel free to consult Dr. Manika Khanna for further advice.